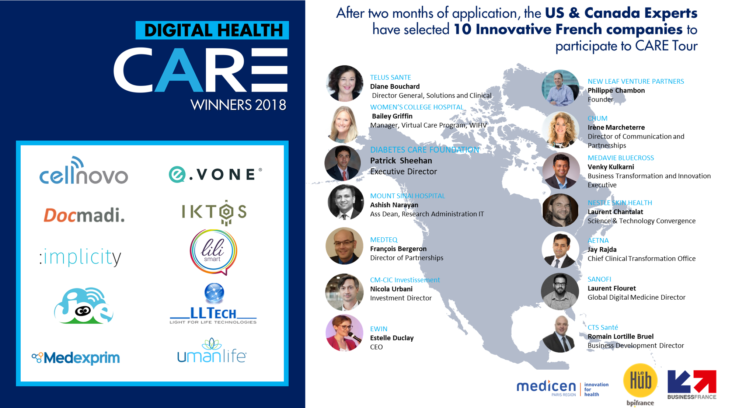 The CARE program from Business France selects the best French start-ups in eHealth for a tour in North America. After 2 months of a selection process involving pitches in front of a pannel of 16 US and Canadian experts, Medexprim was selected for this 2018 Tour. Thanks to this program, we will build long-lasting relationships with Canadian and US healthcare stakeholders. More information on https://events-export.businessfrance.fr/ecare/.